Mt. Kilimanjaro invokes wonder. Its gorgeous views, abundant wildlife and challenging landscapes make the mountain the perfect destination for the adventurous traveler. Luckily, Mt. 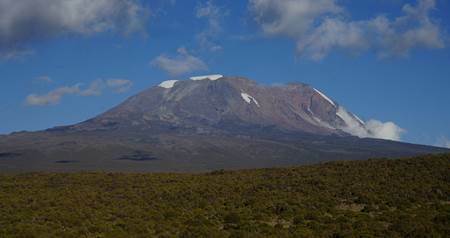 Kilimanjaro is less of a technical climb and more of a long trek, making it a possible climb for those without extensive mountain-climbing experience. 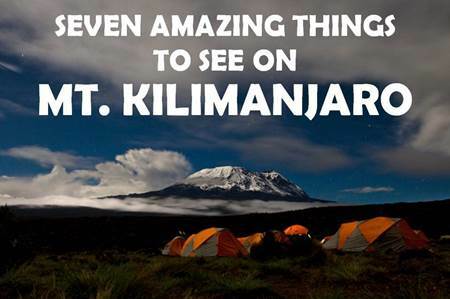 If you’re joining WanderTours on our Tanzania tour, the Mt. 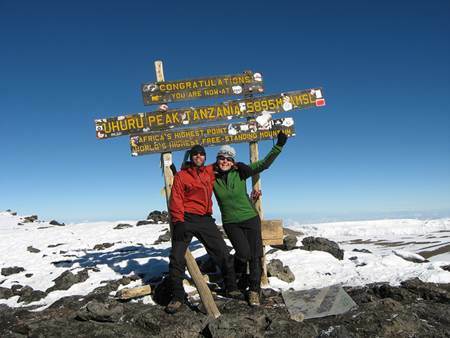 Kilimanjaro add-on will not only give you the chance to climb this wonder, but also to see some pretty amazing sights. From the foothills to the summit, there are enough spectacular vistas and natural attractions on Mt. 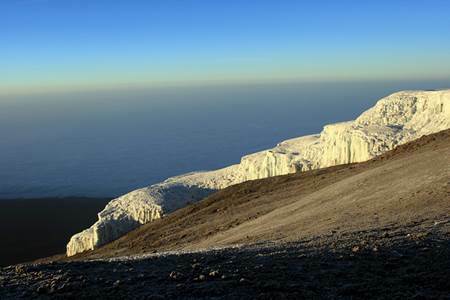 Kilimanjaro to dazzle anyone. The foothills of Kilimanjaro are filled with dozens of impressive waterfalls, and it is well worth the short side trip to see them. 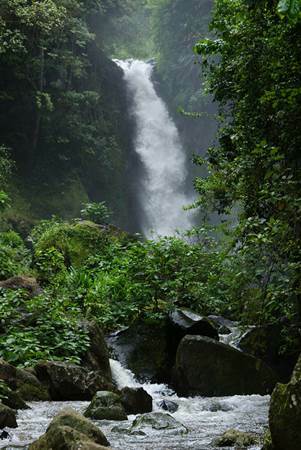 Kuringe Waterfall, about nine miles from Moshi, is an impressive cascade slightly hidden in the dense forest. If you want something a little closer to home base, try the 49-foot-high double waterfall Kinukamori or the slightly more impressive Kilasia Waterfall, which features a 98-foot-drop into a swimming hole that is open to the public. The Shira Plateau is actually a collapsed volcanic crater. The Shira Plateau gives you a beautiful view of glaciers and is an excellent warm up for the much steeper hike ahead of you. In days long past, animals used to wander the plateau, but these days, you’re unlikely to see any wildlife here. The lava tower is exactly what you would imagine: an imposing black tower formed from volcanic rock long, long ago. The tower is a common crossing point for all of the different routes up the mountain. The most adventurous will scale the tower itself. The Western Breach and the Great Barranco Wall are two striking rock faces blocking any climber’s path to the summit of Mt. Kilimanjaro. 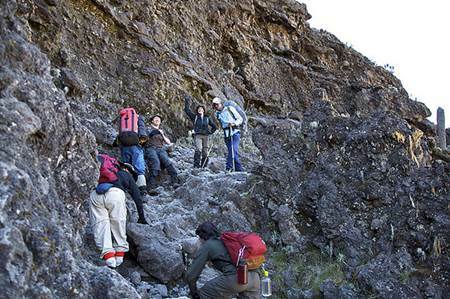 If you’re with WanderTours, you will be scaling the Great Barranco Wall, but don’t worry! It’s easier than it looks (but not exactly a walk in the park either). Once you’ve conquered the wall, you will be able to appreciate a truly unobstructed view of the stunning Mt. Kilimanjaro. The Karanga Valley is the perfect place see glaciers. On your way down into the valley to camp for the night, you will pass the truly remarkable Heim glacier, so be sure to stop and snap some pictures no matter how tired you are. In addition, reaching the Karanga Valley means that you are almost ready to summit the mountain! Stella Point is one of the tougher spots on the mountain to reach. It is over 18,000 feet in elevation and may just feel like the top of the mountain! Indeed, this viewpoint provides some of the most stunning vistas of the entire climb up Mt. Kilimanjaro. 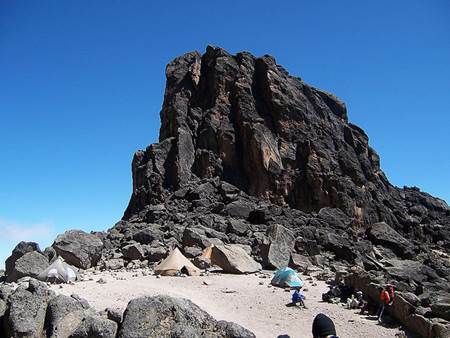 Uhuru Peak is the pinnacle of Mt. 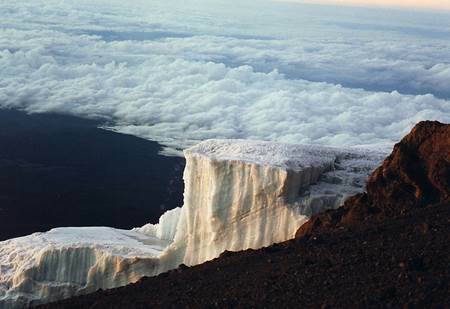 Kilimanjaro, the highest point on the mountain at 19,341 feet. Climbers get to enjoy some pretty stunning views from here. Uhuru is Swahili for “Freedom,” which is probably just about right. If you’re standing on top of this peak, you might as well be on the top of the world. To stay up-to-date on all things WanderTours, follow us on Facebook and subscribe to our blog via email or RSS. Rachel Diebel hails from rural eastern Oregon and is a senior at Pacific Lutheran University majoring in English Literature with a minor in wanderlust. Inspired by a high school tour of Europe and a semester abroad in London, she aspires to travel widely and work in publishing after graduation.